Most consumers, before they start shopping for an automobile, decide on the brand, model and options they want. They realize that they can't shop effectively unless they know exactly what they are shopping for. When they enter the mortgage market, in contrast, where their financial commitment may be 10 times larger, many consumers don't have a clue as to what they want. They look to the loan provider to guide them through the maze. This dependency is one major reason they often end up with a mortgage that is over-priced and, even worse, does not meet their needs. What type of mortgage should I select? The major decision is between fixed-rate mortgages (FRMs) and adjustable-rate mortgages (ARMs). ARMs have lower payments in the early years than FRMs but expose borrowers to the risk of higher payments in later years. ARMs with the lowest early-year payments have the greatest risk of future rate and payment increases. Which mortgage options should I select? The major options are to waive the obligation to maintain an escrow account for taxes and insurance payments, which will cost you a little; an interest-only payment option, which also costs little; and a prepayment penalty, in exchange for which the lender will usually pay you. How long of a term should I take? The term of a mortgage is the period used to calculate the mortgage payment. The longer the term, the lower the mortgage payment but the slower you pay down the balance. Term selection is an issue primarily on FRMs, which are available at terms ranging from 10 years to 40 years. While 15-year and 40-year FRMs exist, most lenders offer only 30-year FRMs. How many points should I pay? Points are fees you pay the lender at the time the loan is closed, expressed as a percent of the loan. On a $100,000 loan, two points means a payment of $2,000. The more points you pay, the lower the interest rate. Hence, points should be viewed as an investment on which the return is higher the longer you have the mortgage. The down payment is the difference between the loan amount and the lower of the sale price or appraised value. If you have discretion over how much to put down, the down payment, like points, is best viewed as an investment. Investment in a larger down payment can yield a high return if it flips the loan into a lower mortgage insurance or interest rate category. If I put less than 20 percent down, what type of mortgage insurance should I select? Borrowers who put down less than 20 percent are charged for the risk they impose on lenders. However, borrowers often can choose how to pay. One option is to pay a premium to a private mortgage insurance company (PMI) selected by the lender. A second option is to pay the lender a higher interest rate, which is called lender-provided mortgage insurance (LPMI). In this case, the lender purchases insurance from a PMI, though not always. The third option is a "piggyback" arrangement, where the borrower takes out a first mortgage for 80 percent of property value, and a higher-rate second mortgage for the balance of the funds needed. How long a lock period do I need and when should I lock? The lock period is the period during which the lender guarantees the rate and points: the longer the lock period, the higher the price. Borrowers must choose when to lock and for how long. What documentation requirements should I seek? A lender's "documentation requirements" stipulate the information about the borrower's finances that must be provided and how this information will be verified, and then used by the lender. Lenders offer choices ranging from "full documentation" to "no-docs." Because the risk to the lender rises as documentation requirements become less stringent, the price of the mortgage rises correspondingly. 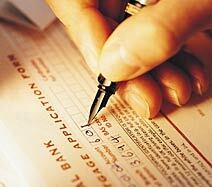 Borrowers may or may not have any leeway, depending on what documentation they can provide.